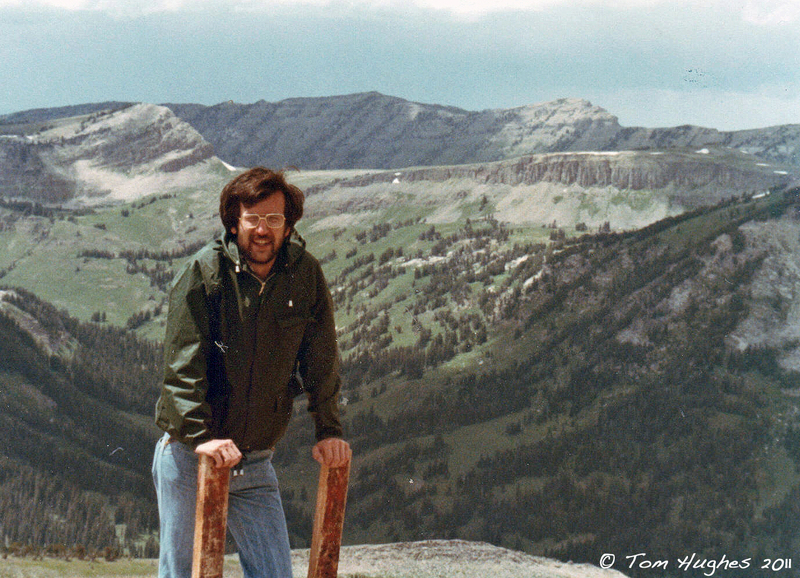 Our journey to full-time RVing began in the Summer of 1977. At that time Jan and I were high school teachers and from the first week of June until the last week of August, we were on vacation! So in the Summer of 1977 we bought a tent and backpacks, loaded our Datsun 1/4-ton pickup with provisions, and drove out West. Over that summer, we backpacked in Rocky Mountain, Teton, Yellowstone, and Glacier National Parks. It was the trip of a lifetime. When we returned home, we promised ourselves we’d do it again and planned a camping trip to a local Wisconsin state park the following year. However, Jan left teaching to go to law school and the days of long summers were over. Twenty six years later . 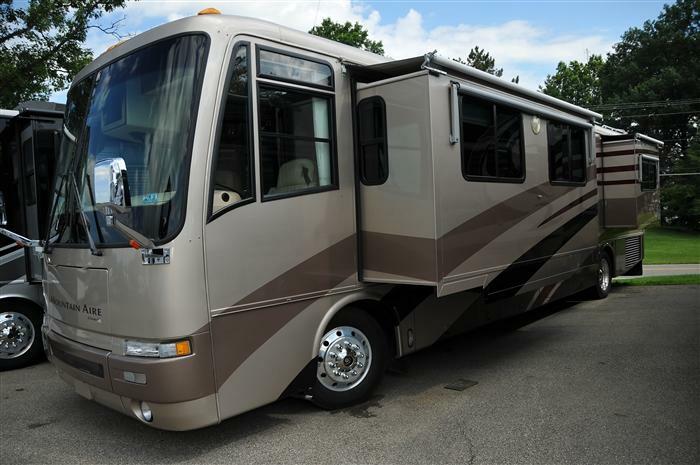 . . in September 2003 we bought a brand new 2004 SeaBreeze LX gas motorhome. Every other weekend during the next six summers, we made up for lost time and camped in as many Wisconsin state parks as we could . . . Peninsula, Two Rivers, Ottawa Lake, Amnicon Falls, Devil’s Lake, Bong, High Cliff, Pattison Falls, Council Grounds, Bluemound, Governor Dodge, Wyalusing, Interstate, Potawatomi, Copper Falls, and Brunet Island. We sealed the deal to full timing in July 2010 when we traded in our SeaBreeze for a diesel pusher . 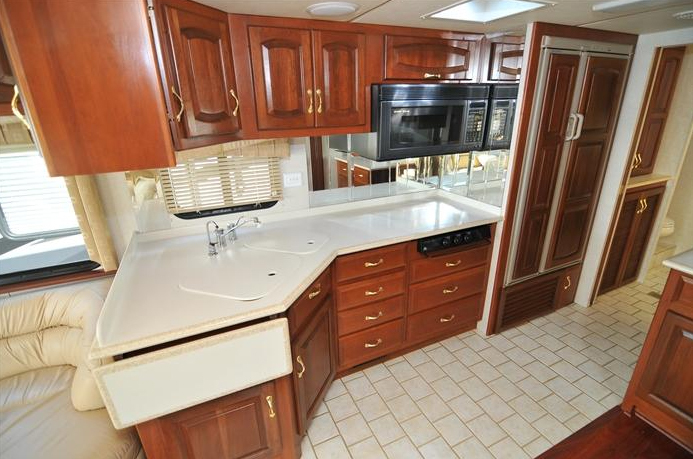 . . a 2001 Newmar Mountain Aire 4095. It was love at first sight . . .
Here’s a complete set of coach photos . . . Ours is 2001 with 64,000 on her…. going thru everything now and learning as much as possible!! Congrats! 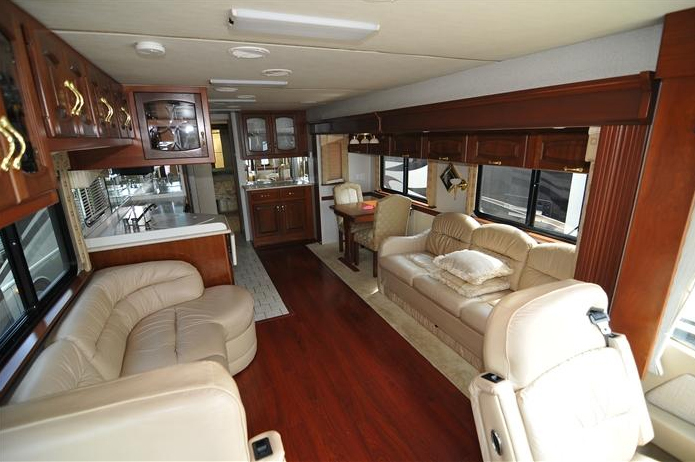 It’s a great motorhome. That said, some advice . . .
We’re currently stranded in Superior, WI while our 2001 Newmar gets a new engine head. A few days ago I got the dreaded Engine Malfunction followed by the Red Stop dash light. We had to be towed over 100 miles — but Coach-Net covered that. However, we’ll have to wait a week until the head arrives & is installed — about $8k in parts and mostly labor. Ouch!!! Nevertheless, we love the coach. Make sure you do yearly maintenance + have both oil and coolant changed yearly.